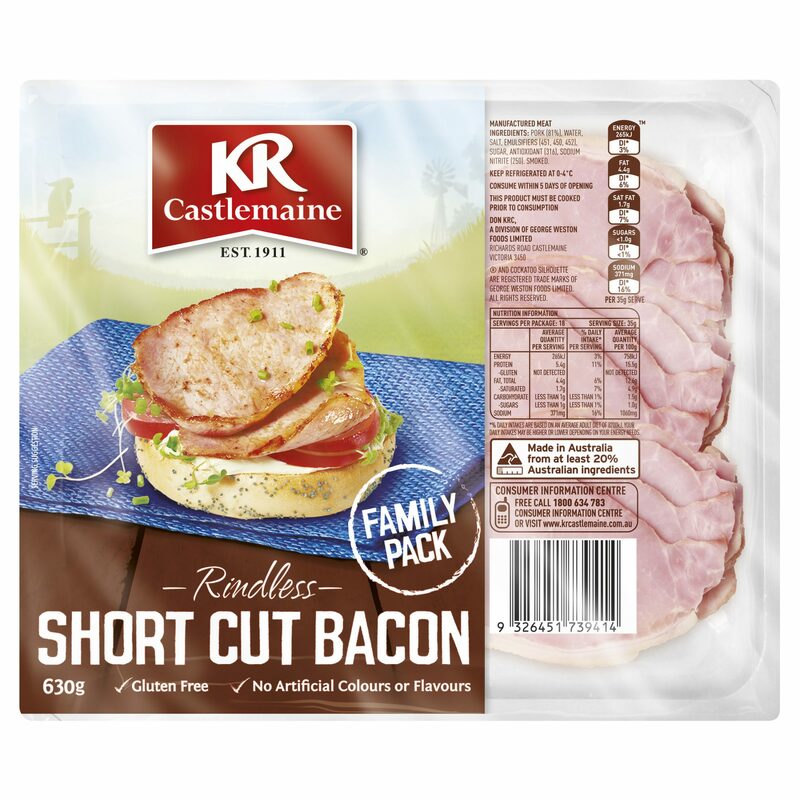 KR Castlemaine Rindless Short Cut Bacon is gluten free. Pork (81%), Water, Salt, Emulsifiers (451, 450, 452), Sugar, Antioxidant (316), Sodium Nitrite (250). Smoked. Keep refrigerated at 0-4°C. Consume within 5 days of opening. This product must be cooked prior to consumption.